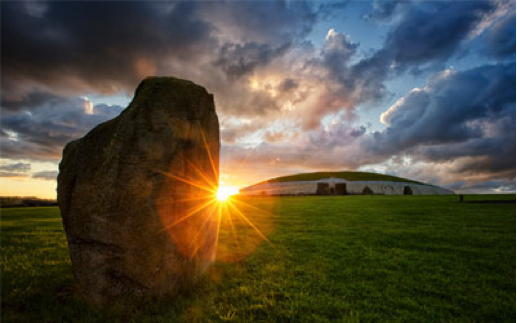 Newgrange a World UNESCO site 5,200 years old the sun shines through the Sunbox on the Winter Soltice 21st December bringing the chamber to life and brining you back to the dawn of Neolithic man in farming Ireland. 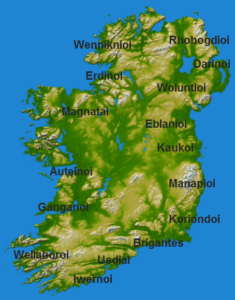 County Meath It is in the province of Leinster and is part of the Mid-East Region. It is named after the historic Kingdom of Meath (from Midhe meaning “middle”). Also known as the Royal County with its feature “ The Hill of Tara “ being the seat of the High Kings of Ireland stretching back 3000 year (see our Historical County Meath Tour). The population of the county is 194,942 according to the 2016 census. The county is drained by the River Boyne which rises in County Kildare and is 60 miles long. Meath is the 14th largest of Ireland’s 32 counties the largest town is Navan, where the county hall and government are located, although the medieval town of Trim, the former county town, has historical significance and remains a sitting place of the circuit court since 1175ad. · Dunshaughlin Famine House exterior view only.